Mirrors are wave reflectors of visible light, and can illuminate any space. The earliest mirrors in 6000 BC Turkey, were made from polished obsidian. In Mesopotamia and ancient Egypt, polished copper mirrors have been dated back to 4000 BC. Metal-coated glass mirrors were invented by Sidon, or modern-day Lebanon, and appeared in the first century AD. Long have mirrors been a way of reflecting light onto your face, and pouring illumination into any space. In ancient Egypt, tombs and chambers were illuminated using an ingenious system of series of mirrors reflecting light from the ground surface. Mirrors are used in scientific apparatus, enabling the function of telescopes, cameras, lasers, and industrial machinery. 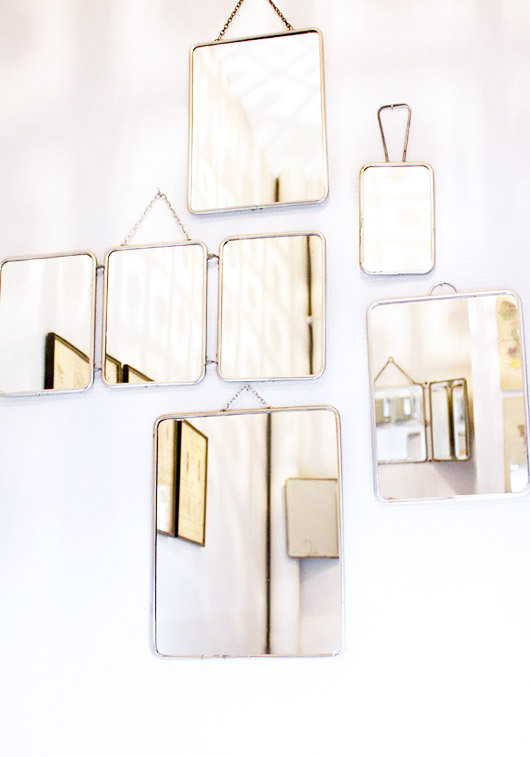 To create depth and spread light in any space, place large or a series of small ornate mirrors along any wall, and utilize the natural light of the home to reflect brightness into any corner. See how these modern homes utilize mirrors to brighten up the environment!